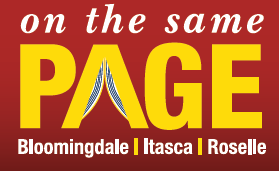 What's New @ Roselle Public Library: Are you "On the Same Page"? Are you "On the Same Page"? On the Same Page continues through the month of October. There is still time to join us for this month-long community reading event featuring Stuart Dybek's The Coast of Chicago.